More and more couples are opting for a legendary destination wedding. Going somewhere exotic to celebrate your marriage allows you to keep the guest list small, creating a more personal gathering, giving your guests a unique and memorable experience. The most important thing to bear in mind is that you can infuse your sense of style and personality into any destination wedding. These tips will help you plan a dream destination wedding that still incorporates your personal style. There’s nothing more critical to your big day than the locale, so selecting the right destination is crucial. The location is something you should take the time to discuss with your partner because the place you decide on should speak to each of you. It can be someplace you’ve previously been, or someplace you’ve always wanted to visit together. Whatever location you choose, it should hold special meaning for you both as a couple. Additionally, you’ll want to ensure your guests will be available to travel to the location. Since your guest list will be smaller, you may want to make sure that those you do invite will be able to make it. Mexico tends to be a pretty popular destination but the shores of Italy, Australia, Greece, or the Virgin Islands all offer unique experiences. 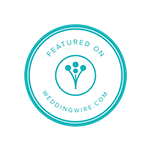 In the same way that you might decorate a church or a banquet hall in your hometown, you can also customize the wedding venue at your destination. It’s common for couples to use the décor available in the region where the ceremony is taking place, but that doesn’t mean you can’t bring items along to make it more special. Scrapbook photos, favorite non-perishable foods from your hometown, and anything else that reminds you of home can be added to create an original and customized setting. You can still set up a wedding photo booth at your destination to capture those special moments. Just because you’re far from home doesn’t mean you have to skip out on trends. Photo booth snaps also make fantastic wedding mementos that your guests will undoubtedly appreciate. Your best friends and favorite family members will love the opportunity to dress up and take fun photos together, to commemorate the trip (and wedding!) of a lifetime. The ideal choice here is to hire caterers with local businesses so that it will be easier on them and cost-efficient for you. Caterers operate the same way everywhere. You can search the internet for a favorite place and read reviews. A good caterer will hear out your ideas and will have a menu for you and your significant other to choose from. Additionally, you may be able to request favorite foods with a recipe you supply, or you may ask them to add local flavor to your favorite dishes. You’ll also want to plan excursions for the wedding party to enjoy, during your stay. These will likely involve the aspects of the destination that compelled you to choose this particular locale. You might plan museum tours, charter a yacht for a day of fishing and snorkeling, or you book a walking tour of the city’s major points of interest. Whatever events you choose, remember to book in advance to make sure the hosts can accommodate your entire group. Finally, you’ll want to consider what entertainment you want to provide at the reception. A lot of couples opt for local entertainment to showcase the talent and culture the place they’re in. Of course, if that’s not your thing, you can always find a local DJ that will play all the American hits you love, and maybe some local favorites if your group is into it. With some good food and entertainment, your guests will be grooving and having a good time at your destination wedding. You’ll find all of your guests lined up outside the A Cut Above photo booth, taking all the pictures they can to commemorate such a wonderful event. 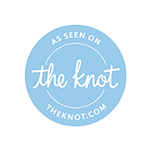 Contact A Cut Above today to make sure your destination wedding is one your guests will never forget.